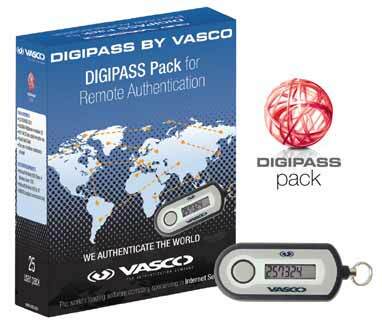 VASCO Data Security’s DIGIPASS 250 solution joined forces with VACMAN Controller to secure e-banking applications for Swiss retail bank, Landbouwkrediet/ Crédit Agricole. The bank plays host to the Crelan-online.be application, which currently has 55,000 users. In preparing to install a two factor authentication security system, Landbouwkrediet/Crédit Agricole sought out a product that had both a high-level security and user friendliness. In addition, the combination of the DIGIPASS product with the e-banking back-end infrastructure and the hardware security module (HSM) worked easily thanks to the HSM compliancy and the documentation of the VACMAN Controller API. Now to access Crelan-online.be, the bank’s end-users must own a DIGIPASS authenticator. This will add an extra security layer by putting the customer through a series of steps, first entering their user identification, then a serial number of the DIGIPASS authenticator and finally a one-time password generated by DIGIPASS. VASCO serves a customer base of almost 9,500 companies in more than 100 countries, including approximately 1,400 international financial institutions.